Real-life user testimonials can either make or break a business, that’s why merchants and service providers aim to gather as much feedback as possible. Developing a tool that allows to display the great things your customers have to say about you makes perfect sense. However, we also realize that even though we do our best to give the highest quality service to our customers, mistakes will happen, and some feedback that we get can be – ouch! 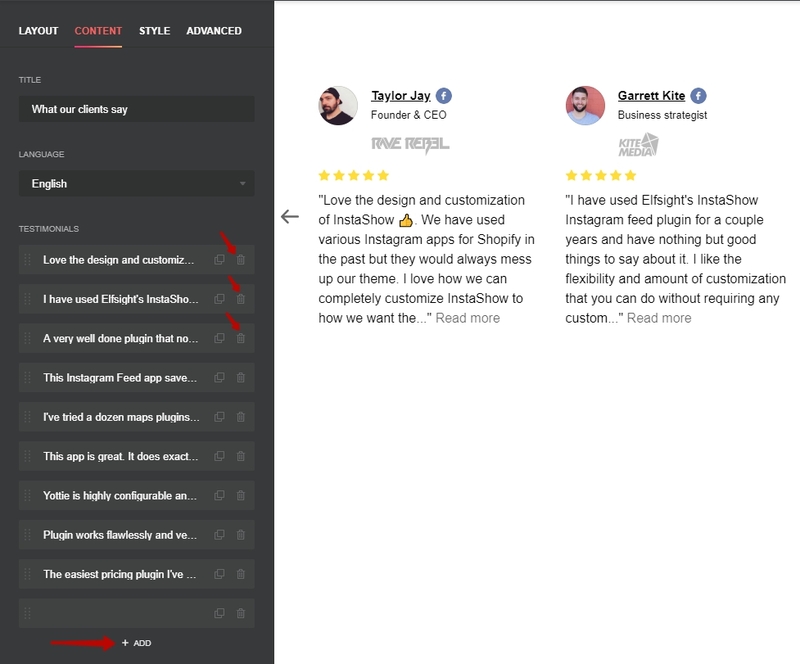 – a little touchy 🙂 So in the light of this we have specifically designed our Testimonials Slider in a way that allows you to show just the kind of feedback you need – by hand-picking it and adding each user review in your widget’s editor. 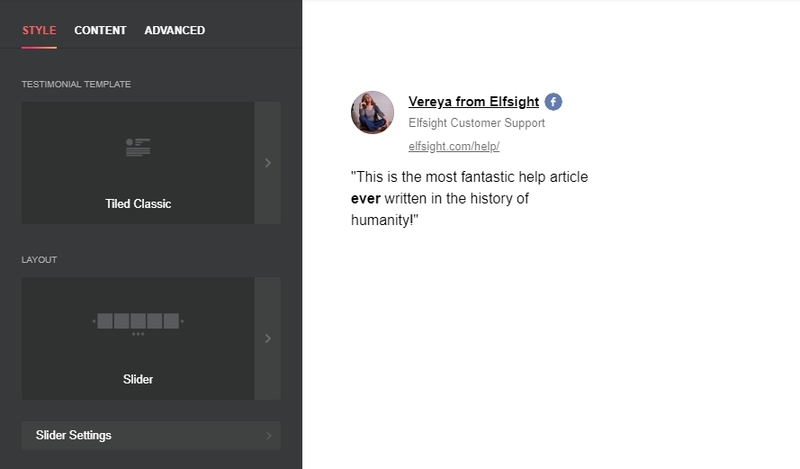 So how do you make a testimonial display in Elfsight Testimonials Slider? This is the tab where you can add your testimonials. 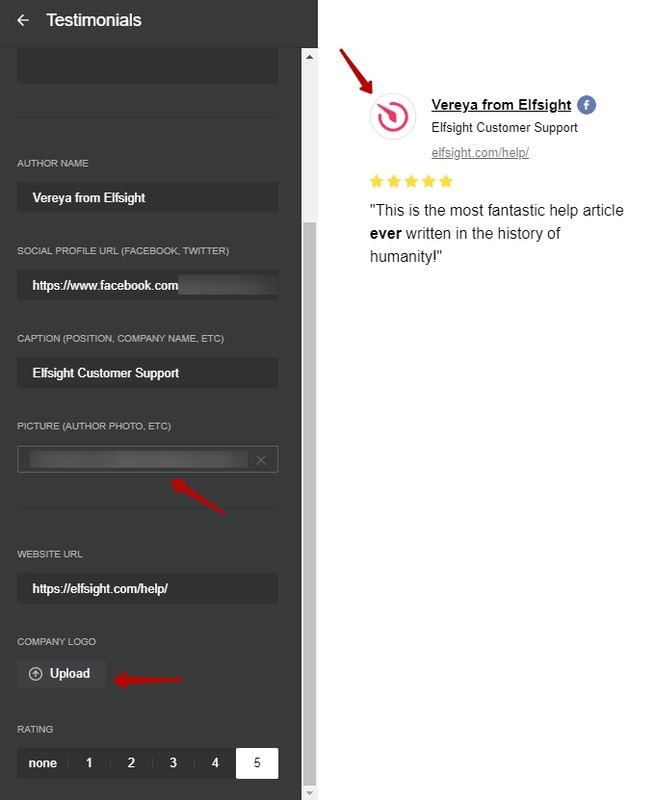 Before you start, you need to click on Remove button to remove Elfsight testimonials from your widget. 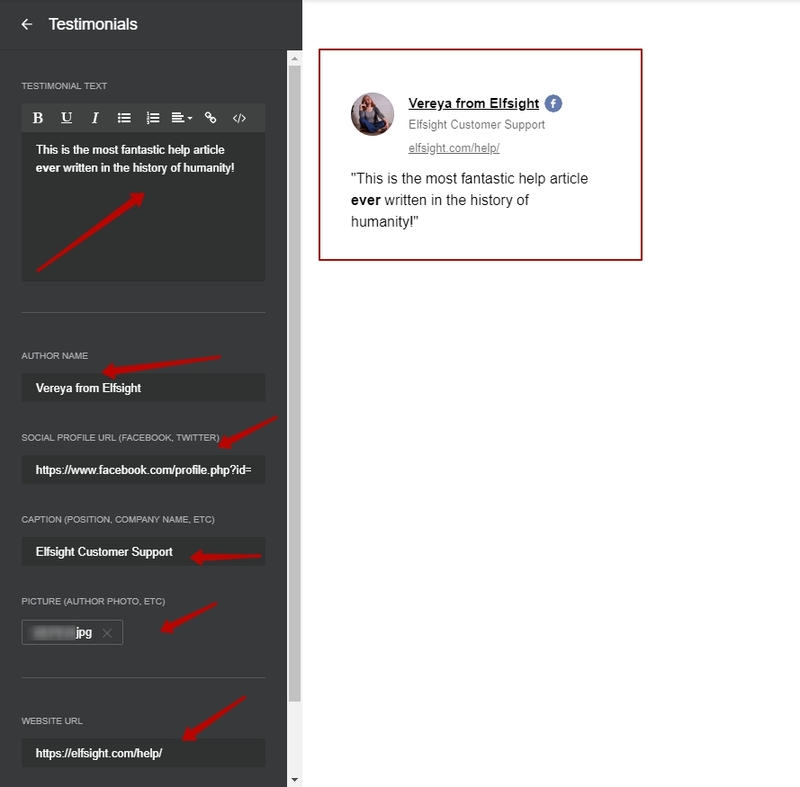 When you have deleted the default testimonials, you need to click on Add to start adding your own ones. Also, here you can change the language. 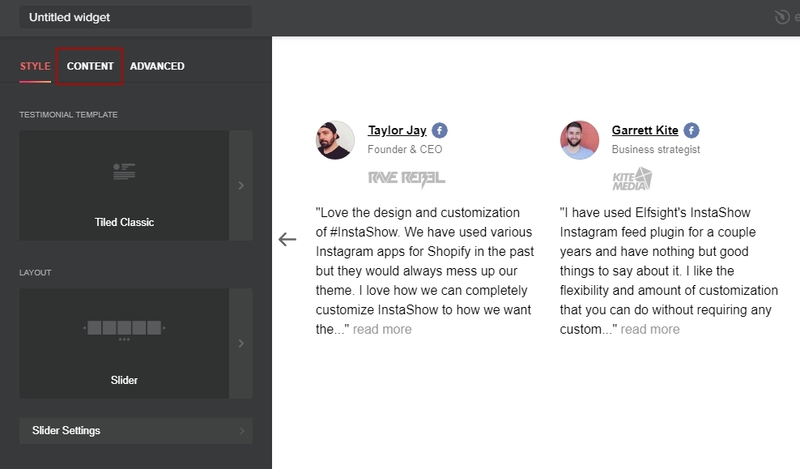 After you’ve added your first testimonial, you’re welcome to add other ones, and use the options presented on Style tab to give your Testimonials Slider the perfect look!